Those shoes are amazing. Love the print so much. 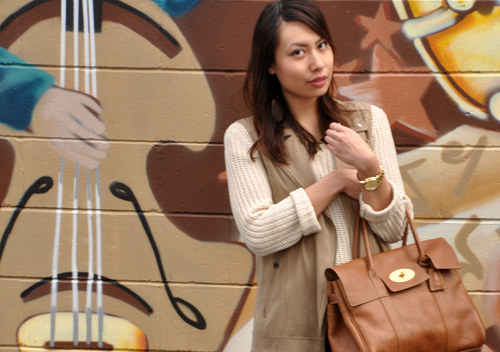 oh I really like those beige and brown shades! and how brilliant is the combo of that vest and sweater. from the distance it even looks like a jacket ;) and those leopard pumps are fabulous of course. a complete statement piece. 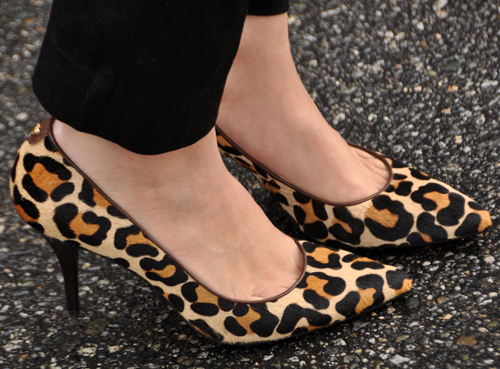 ADORE the leopard pumps!!!!!!!!!! And I really like the sweater and vest! I bet you can pull these heels off with SO many different kinds of outfits. Nice purchase!! I love your sweater too, looks super cozy! love this outfit!! you look fabulous.. i'm obsessed w/ your mulberry she's a beauty!! love the pop of print w/ those heels!! Such a cute outfit, your pumps are gorgeous! Nice pumps shoe twinsie! I'm also loving the neutral colour palette in your outfit and this look really reminds me that I need to add a vest to my wardrobe. 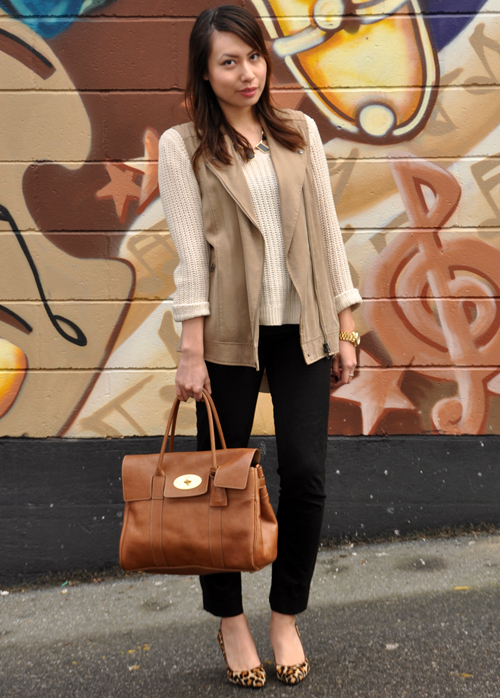 Vests are key! I actually didn't realize I was so into them but apparently I am as I have quite a few. Your bag and sweater are wonderful! The leopard shoes look amazing. Leopard print is a must have. I've been looking for a great skirt for work. LOVE the shoes though!